The cold weather is creeping up on us and it’s the time to keep warm! Thanks to the designers fresh take on the outerwear this season there are so many great styles to choose from. Picking the perfect coat is important and looking and feeling good should go hand-in-hand, so we’re here to help get you started. In the cooler weather, often the garment that people see first is your outwear. This means that you have to make a fashion statement as quickly as possible and the easiest way to do this is with a great coat. Colour is one of the easiest ways to make a statement to the dull autumn/winter backdrop. 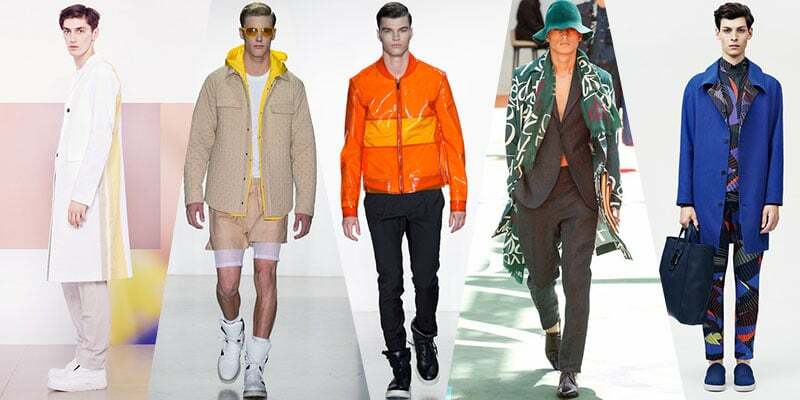 A good example of designers who made a statement with colour this season are Calvin Klein Collection and DKNY with their use of bold citrus hues, Opening Ceremony with a canary yellow and Christopher Kane with his rich blues. However, you can always take the statement one step further by opting for a coat that has been made from a gorgeous graphic printed fabric, it is a clear way to stand out from the crowd. Alexander McQueen, Versace, Etro, Topman and Moschino did a great job with this! The leather jacket has been gaining popularity over the years for its rebellious subculture and it’s now considered a style staple in mainstream menswear fashion. While most of the leather jackets this season stuck to their traditional roots and did not stray far from the timeless cut, a few designers have given the classic leather jacket an injection of creativity. The best way to keep anything relevant is to reinvent it and this is what designers such as Alexander McQueen, Emporio Armani, Diesel Black Gold and Versace, have done. Of course, the leather jacket is already a piece that is so versatile and always assures variety in length, fit and colour. But speaking of colour, one of the easiest ways to break away from the crowd is with the use of alternative colours, interesting textures, cropped designs and marbled effects that the aforementioned designers used. 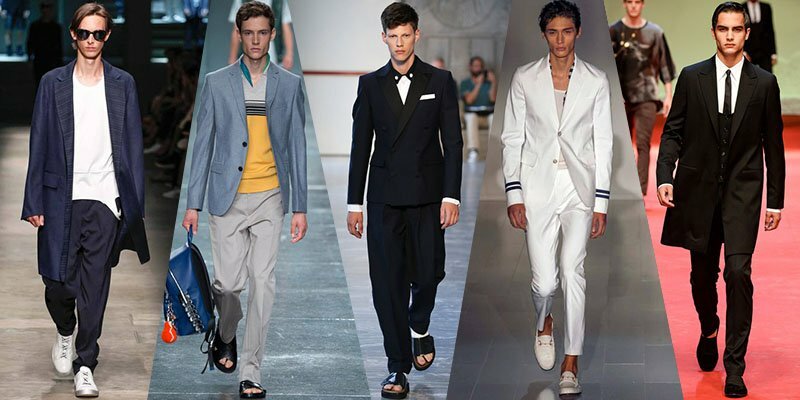 One of the great things about this season’s menswear collections is the fact that formality has taken a back seat. 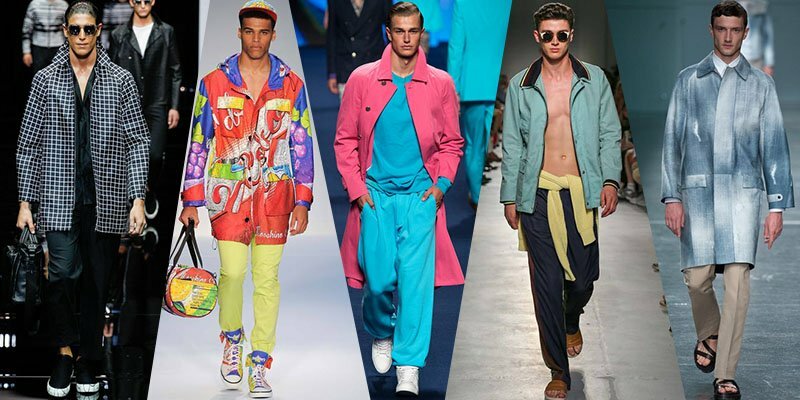 This means that men are finally offered a little more fashion freedom, even with their work wear choices. Pair a fine tailored piece with a slouchy t-shirt or a slightly unbuttoned collar shirt. For the less daring and more subtle yet still laid-back look, simply leave the your coat/jacket unbuttoned. 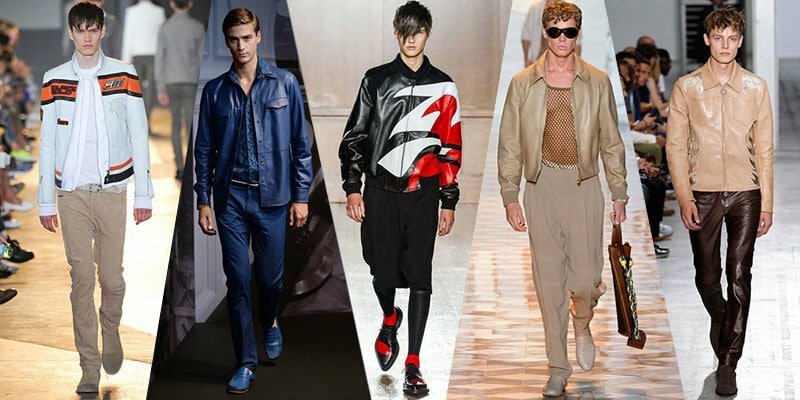 If you are a man who loves fine-tailoring and perfection, then look to the runways of Dolce & Gabanna, Ermenegildo Zegna and Gucci for inspiration. Regardless of how you choose to style yourself, remember to carefully consider the fit and the size of your elected choice. 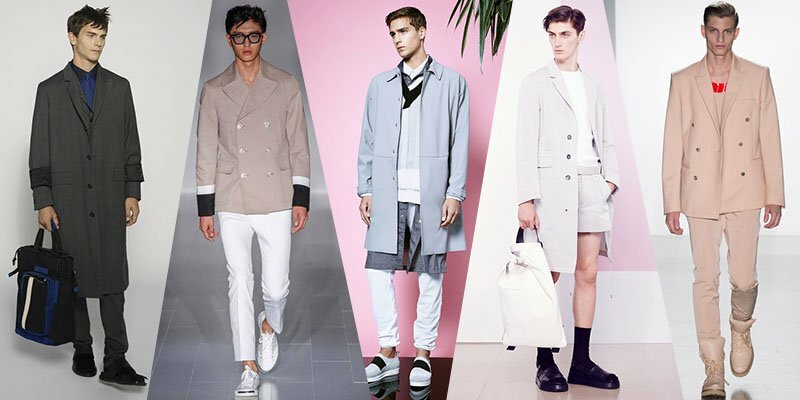 Experimenting with different trends is not an excuse to wear something that is poorly fitted.